Oh Esqido, you don't half know how to make a great pair of false eyelashes. Just look at them! Beautiful wipsy strands made from mink hair (all 100% cruelty free) in a range of different styles, and all packed up in the prettiest white and rose gold packaging. I've tried quite a few Esqido lashes over the last couple of years, and they completely impress me every time. The lightweight cotton band makes them really comfortable to wear, and because they're so well made you can actually re-use them up to twenty five times. I was really excited to see that new styles had been added to the site- with different thickness, lengths and patterns giving you great options for different occasions. 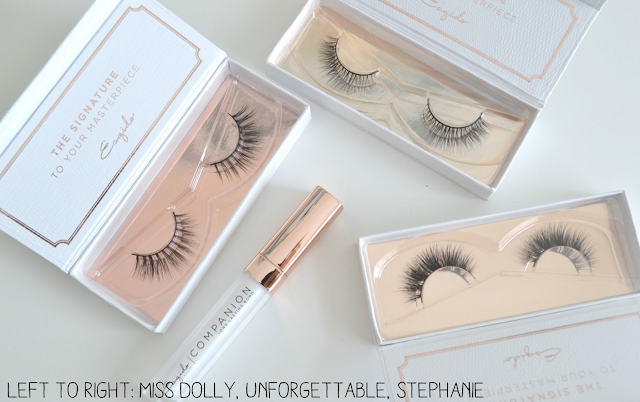 Whether you want full on ultra glam for a night out, the perfect fluttery lash for a special event or even a subtle yet gorgeous look for the daytime there's something for you on here. My current favourites have to be 'Stephanie' which give you that bold, glam finish to your makeup for a night out but are still beautifully lightweight and fluttery so you don't look fake or overdone. Unforgettable are a great all rounder, I have a full review here and as I mentioned in that post these are lashes that I plan on wearing on my future wedding day. 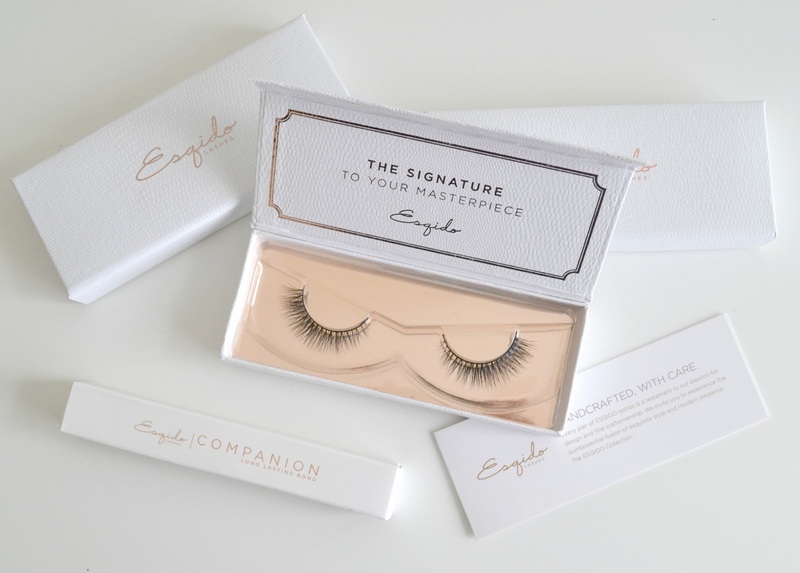 Along with the gorgeously crafted lashes, Esqido also sell an effective eyelash glue called 'Companion'. I've tried a lot of eyelash glues over the years and I can honestly say this is the best one. I've had products that have made my eyes water so badly I've had to remove my entire eye makeup and start again and others that were like superglue and pulled out clumps of lashes when I've come to remove it- not cool. In fact, up until I discovered this stuff I was using hair extension glue for my lashes just because I hadn't found anything else that worked! Companion is a strong, latex-free formula. The thin nib tip makes it easy to apply, and it doesn't sting your eyes. While it keeps your lashes in place all day, it's easy to remove with makeup remover when you do actually want to take it off. I couldn't be happier with my new Esquido lashes, if you've not tried them yet they come highly highly recommended by me!